WSPN takes an in-depth look into why the movie "Cool Runnings" was not shown this Winter Week. After WSPN broke the news on Tuesday evening, the events gained the attention of first local and then national news. In a six-part series, WSPN looked into what happened, how it incited such controversy and its aftermath and impact. 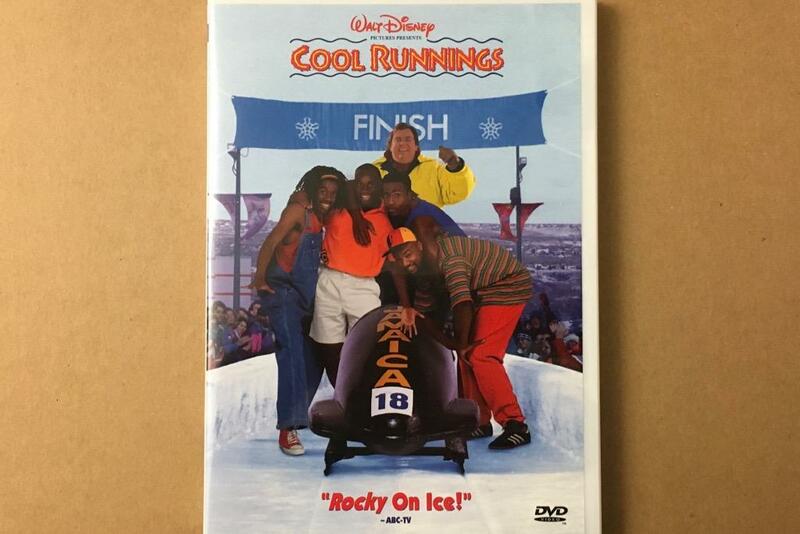 Cool Runnings, a 1993 Disney film, is based on the journey of the first Olympic bobsled team from Jamaica. The film takes a twist on the original story, creating a sports comedy that follows four Jamaican athletes’ difficult path to the Olympic games. Upon its release in 1993, Cool Runnings was number three in the box office and had a brought in over 154 million dollars worldwide. 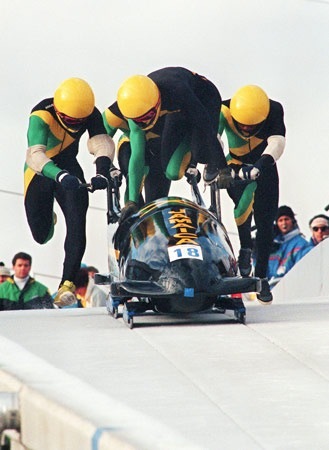 The idea for the real Jamaican bobsled team came from George Fitch and Ken Barnes. Together, the two men recruited Jamaican athletes Dudley Stokes, Devon Harris, Chris Stokes and Michael White for the first Jamaican bobsled team. The team fought adversity to create a winter sports team in a tropical country. The 1988 Olympic Games were the first time the athletes raced in a four-man sled. The Jamaicans’ bobsled race drew a record crowd. The race started off strong, but the sled tipped at one of the last corners, causing the Jamaicans to crash. Despite crashing, the team came together and pushed the sled across the finish line. Cool Runnings does not follow the exact story of the first Jamaican bobsled team, but it does include the crash at the end of the race that defined the ’88 team’s culmination at that year’s Winter Olympics. In selecting the movie, Student Council members began by brainstorming movies that they wanted to watch. Over the course of several meetings, they narrowed it down to their top five choices. “I didn’t vote for Cool Runnings, but I think many of the upperclassmen were into the idea of the movie,” a Student Council member who chose to remain anonymous said. The anonymous member emphasized that they did not cast their vote against Cool Runnings because of any concerns over racist portrayals. Instead, there was simply another movie that they preferred more on the list. “I’ve seen the movie before, and a different movie was on the list that I liked better,” the member said. Cool Runnings received a plurality of the Student Council vote the week before midyear exams week. After approval from both Bishop and co-adviser Eric Wolven, they informed Mizoguchi of their selection. The rest of the student body and the faculty was made aware of the selection several days later on Monday, Jan. 29. Mizoguchi sent out an email to the student body at 2:48 p.m. on Tuesday, Jan. 30 announcing the cancellation of the screening of Cool Runnings and the ordinary Bell 3 schedule that would come with it. As such, no substitute movie was slated to replace the 1993 classic. According to Mizoguchi, members of the WHS faculty reported ostensible racial insensitivity concerns on Monday evening. Mizoguchi notes the racism in Cool Runnings was not overtly blatant, but rather more subtle in nature. “There are particular scenes in the movie that really walk this line between humor and jocularity and lightness and we are laughing at, not laughing with,” Mizoguchi said. Mizoguchi cited the “fish-out-of-water portrayal” of the main characters, the slapstick comedy and the way the movie uses humor as some of the reasons constituting the reported concerns. When Mizoguchi was made aware of faculty members’ discomfort with the movie, she decided that serious thought needed to be put into whether or not to cancel the showing of Cool Runnings. She consulted with figures such as Assistant Principals Ethan Dolleman and Jim Nocito, Student Council President and Vice President Jaylen Wang and Kanming Xu and co-adviser Bishop; however, she claims responsibility for the ultimate decision. Mizoguchi notes that this decision was not based on the majority opinion because of the conflict the effects of the movie had with WHS’ mission. In her email, Mizoguchi referenced WHS’ mission, which, according to her, is not reflected in the film. Mizoguchi believes that showing Cool Runnings would violate WHS’ mission because some students and faculty would feel uncomfortable watching the film. Mizoguchi realizes that it is probably impossible to find a film that would please everyone at WHS, but she did not feel it was right to put on a film for the entire school body that she knew some had issues with without having the proper time to discuss the film. Mizoguchi trusts that students have the ability to watch a movie and think critically about it, but she did not feel like she could show the movie without a discussion to follow. The movie screening tradition during Winter Week has only existed for two years. The Student Council showed “Selma” in 2016 and “Apollo 13” in 2017. Mizoguchi believes that since both films were shown on a Tuesday, students were given designated time in advisory on Wednesday for them to discuss and reflect. The administration did not initially believe that such discussion was necessary for Cool Runnings, but after being made aware of the concerns, Mizoguchi instanced the lack of ample time to process the movie as one of the reasons why she decided to cancel the screening. Do you agree with the administration's decision not show the movie "Cool Runnings?" Almost immediately after Mizoguchi’s original announcement, students replied to the email in protest of Mizoguchi’s decision. Sophomore Philip Koechling, one of the first students to reply to the chain, felt that the movie not only did not have a racist message, but it actually had an anti-racist message. Koechling did not understand how students could feel offended by the movie. He added that the lack of any movie contributed to the degrading of his Winter Week experience. While sophomore Rachel Tolmach hadn’t seen the movie personally, she believed the administration was fair in making their determination. Tolmach also felt that students who were against the decision were not really interested in the racist nature of the movie and had ulterior motives. According to Tolmach, in the future, students will feel warranted to react in the same way. The anonymous Student Council member noted that the majority of Student Council had not been informed of Mizoguchi’s decision before receiving the all-school email. According to the Student Council member, the criticism of the movie should not have been a reason to cancel it. On a more general scale, the member argued that the Student Council was not able to make decisions independently for the school. However, the student agreed that, for the most part, it is the right of the principal to have the authority to confirm or reject a Student Council decision. Yet the member did note the inability for students to go back and challenge those decisions. 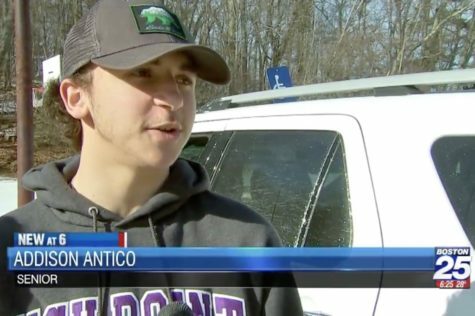 On Wednesday, Fox 25 Boston reporters filmed a story on the events, stationed in the outdoor basketball parking lot and pulled students aside once they drove or walked off campus. Several students noted that Wayland police was also called the scene to ensure that Fox reporters were following state laws governing press coverage of public schools. Mizoguchi learned about the email chain Wednesday night. On top of the emails from the chain, Mizoguchi received multiple emails directly to her from concerned students. Mizoguchi said that she responded directly to each email and answered students’ questions. At 9:39 p.m., Mizoguchi sent a second email further explaining why Cool Runnings would not be shown while replying to some of the arguments that students in the email chain were making. In this email, she urged students to be mindful about WHS’ acceptable use policy when responding to the email chain. However, Mizoguchi was not against those who appropriately used the email chain to address their concerns. Cool Runnings was a popular topic of conversation at WHS for the rest of the week. Mizoguchi invited students to join her during each lunch on Wednesday in a conversation about why Cool Runnings was not shown. Mizoguchi also encouraged students to speak to her about their concerns and questions regarding the film throughout the day. During regularly scheduled advisory on Wednesday, teachers were given discussion material about the controversy surrounding the film. In some advisories, students watched clips from the films and spoke about any racial issues they may have observed. On Wednesday, many students wore green and black, the colors of the Jamaican flag, to protest the cancellation of the movie. 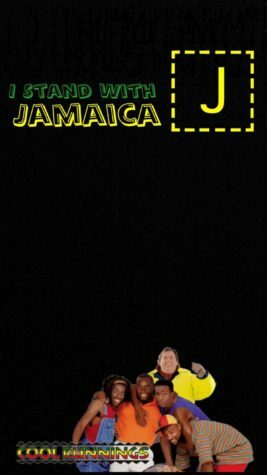 One student created a Snapchat geofilter that said “I stand with Jamaica” with a picture of the characters from Cool Runnings. The controversy surrounding Cool Runnings has since picked up coverage from multiple news outlets within the subsequent days. FOX 25 Boston aired the story on Wednesday evening, and the MetroWest Daily News published an article about it on Thursday night. The Washington Times, FOX News and International Business Times wrote articles on Friday. Breitbart published their coverage on Saturday evening, accruing more than 2,000 comments in the first 20 hours of publication. Leon Robinson, the actor who played Derice Bannock in the movie, also released a video via Twitter in response to Mizoguchi. In the video, Robinson offered to talk to Mizoguchi and students about the film. Leon Robinson Twitter message (@justleon) from WSPN TV on Vimeo. Mizoguchi responded to Robinson’s message via email, but there has been no update if Robinson will be coming to speak to students at WHS. The breaking news article covering the controversy published by WSPN on the night of the email chain has garnered 2,944 views as of Feb. 3. 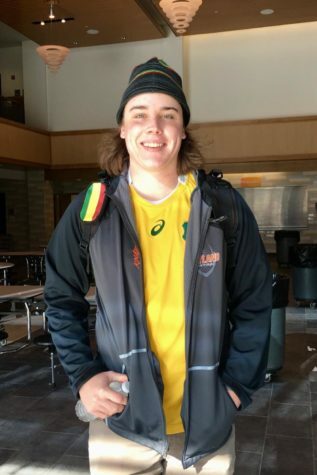 Senior Zach Knapp wore Jamaican colors in protest at school on Wednesday. Mizoguchi understands that many of the students who were upset about the cancellation of the movie may have been motivated by their feelings towards Winter Week as a whole. In the email thread, multiple students said they were unhappy with Winter Week this year and did not believe they were given a break after midterm exams. Mizoguchi believes that many students were more upset with the fact that no movie was shown rather than Cool Runnings being canceled and the reasons behind the cancellation. Mizoguchi stated that canceling the movie was not the administration’s attempt to get rid of or diminish Winter Week. Many students have watched Cool Runnings on their own time. Mizoguchi knows that many people will never understand her decision, but she stands by it. *As with any study, this survey was subject to typical sampling variation as well as possible voluntary response bias. Statistically, it was meant to obtain a sample of the students at WHS and is not necessarily representative of the entire student body. The data from these studies are presented for readers to make their own conclusions. Contact WSPN with any questions about the methodology of the study. Find an infographic that details the survey’s results here. A crowd is gathered on school grounds to watch the olympic torch relay pass through town. However, just off school grounds, a provocative group of students stands, holding a banner emblazoned with “BONG HiTS 4 JESUS” as TV crews start filming. The principal immediately confiscated the banner and suspended the ringleader. Was this restriction of speech, which occurred off school grounds, constitutional? For as long as schools have existed, there have been questions into the rights of the students. The first amendment states that “Congress shall make no law …. abridging the freedom of speech, or of the press ….. or the right of the people peaceably to assemble.” There are distinct limits on free speech in schools, but the ambiguity of the wording from Supreme Court cases will undoubtedly lead to more situations where it must be decided on a case-to-case basis. The defining aspect of first amendment rights in schools has to do with the in locos parentis responsibilities of schools. That is, schools share the responsibilities of a parent with regard to students. This results in cases where the school acts in the best interest of its student body, with a certain amount of discretion. With the first amendment, the question is: how far do students’ rights extend with regard to the in locos parentis obligation of the school? Schools must also act with regard to the well being of an student body, considering the full import of their actions. Multiple Supreme Court cases have sought to clarify this “line” of rights that cannot be crossed by schools, and more will be needed to solidify it. The first amendment also secures the freedom of press. With regard to schools, the Supreme Court heard a censorship of student press case in Kuhlmeier v. Hazelwood (1988). In the case, the principal censored articles related to birth control and teen pregnancy. The court held that schools had the right, given their in locos parentis responsibilities, to censor “inappropriate” content. Quite obviously, this requirement leaves much to the discretion of the school and is quite wide. This statement had far reaching effects, as the case’s wording includes all non-forum school sponsored student activity, including theatre and art. Despite this, certain states, such as Massachusetts, have passed laws protecting student journalists from censorship, some banning censorship outright while others increase the standard needed to censor. The vague wording of the Supreme Court ruling has lead to further court cases concerning whether or not content is “inappropriate.” In the end, the description of “inappropriate” vague enough to give schools a large amount of discretion. In summary, student freedom of press is quite limited if the publication is school-sponsored. Despite this, there are gray areas that will continue to be tested. Although Tinker established speech must substantially disrupt a school environment to be censored, it gave no clear answer as to what actions would constitute substantial disruption. Since then, new cases have helped define what actions meet this requirement. While Tinker set the standard with student action that resulted in their rights being violated, cases such as Morse v. Frederick (2007) show when administration is justified in restricting speech. In Morse v. Frederick, a student was suspended for displaying a sign with “BONG HiTS 4 JESUS” scribbled onto it. Although he technically off campus at the time, the Supreme Court ruled that his promotion of drug use interfered with the in locos parentis responsibilities of the school. In another case, Bethel v. Fraser (1986), a student was punished after making a speech containing sexual innuendos. The court ruled that this was against the “fundamental values of public school education.” These two cases add to the Tinker Standard – speech can be restricted if it disrupts the school, as seen in Tinker, but it can also be restricted if it is offensive or bordering on obscene as in the case of Fraser. Finally, Fraser and Frederick show that speech can be restricted if it impairs the educational mission of the school, such as the instilling of moral values. The premise of all the rights guaranteed in the first amendment stem from the general freedom of speech and expression. This general topic was covered in the landmark Tinker v. Des Moines, creating the Tinker Standard for all first amendment thereafter. Student speech is limited by its level of disruption, offensiveness, and whether or not it impairs the educational mission of a school. With regard to specific rights under the first amendment, religious student groups must receive the same treatment as any other group. The freedom of press is not guaranteed and is very much at the discretion of administration if the publication is school-sponsored. However, several states have their own caveats and laws protecting student speech, such as not being able to censor places designated as “forums for student expression” in New Jersey. Overall, there is a fine and not yet defined line between speech that can be restricted and speech that cannot. Specific areas such as press may be more limited than others, but the fundamentals of Tinker still stand. Restricting speech must be proven to have a less than trivial impact on a school. Still, as with all court cases, wording is everything and is often up for interpretation. What is the full extent of “substantial” as ruled in Tinker? Cases will continue to pinpoint the distinction as time passes. Every school district is unique, and certainty in the constitutionality of restricting speech will is practically impossible to guarantee. The more cases there are, the more precedent there is to make decisions – more clarity in the extent of student protection under the first amendment. “Bethel School District No. 403 v. Fraser.” Oyez. Oyez, n.d. Web. 29 Mar. 2017. “The Hazelwood Decision and Student Press.” Scholastic. N.p., n.d. Web. 16 Mar. 2017. “In Loco Parentis.” Education Law. N.p., n.d. Web. 13 Mar. 2017. “In The School.” Kountze Cheerleaders | Student Speech | Liberty Institute – Liberty Institute. Liberty Institute, n.d. Web. 29 Mar. 2017. Washington Post. WP Company, 04 Nov. 2012. Web. 16 Mar. 2017. “Your 1st Amendment Rights.” The Judicial Learning Center. JLC, n.d. Web. 29 Mar. 2017. Chill. You might have good reasonings and I agree that the movie should’ve been shown, but there’s no reason to type out an entire paragraph. I mean, you could’ve if you wanted to, but still… what? Imagine if a student said they were offended by negative portrayals of whites as being racist in the movie “Selma”. Do you think Mizoguchi would have cancelled the movie? Obviously not! The idea that Mizoguchi wants a “dialogue” or is interested in any viewpoints other than her own is laughable. At this point, EVERYTHING is racist. Some people even think calling an AA “black,” is racist. It goes back to equality. Sure, there is stuff to work on, but acting like babies around the idea of showing a MOViE meant for CHILDREN does not help the cause, inf act it makes it laughable. People are so quick to call “racism,” because they are looking for a fight, which can be just in instances. But whining about a movie of inspiration is stupid, and not worth anyone’s time.